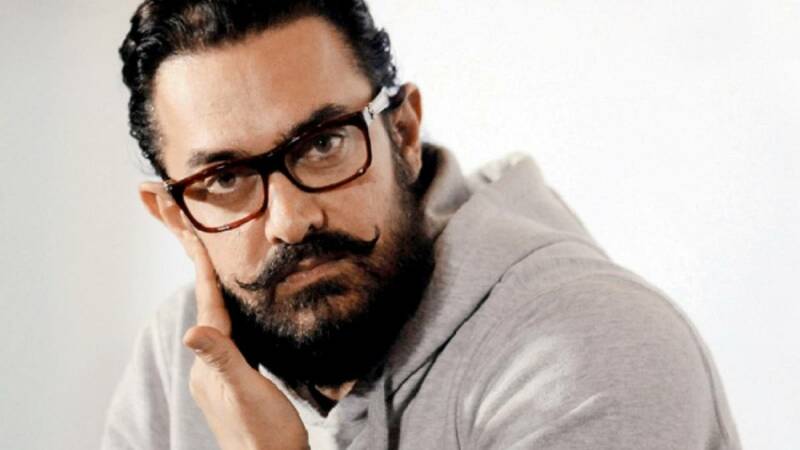 Mumbai : Actor-producer Aamir Khan finds it unfair that three names are always singled out whenever the media talks about stardom in Bollywood. He says there are many other "talented stars" who are contributing good work in the Hindi film industry. Aamir was present at an event for a song launch of his upcoming film "Secret Superstar" here on Monday. Films of Shah Rukh Khan, Salman Khan and Aamir Khan always touch the Rs 100 crore mark within three to four days of their release, but neither Salman's "Tubelight" nor Shah Rukh's "Jab Harry Met Sejal" met the same fate. Asked if it was so because the trend is changing and that the audience prefers content-driven cinema compared to star-studded movies, Aamir said: "To say that the trend has changed is a very big statement, but I think there are ups and downs in every creative person's life. We all try our best to do our work, we try to make sure that everyone likes the films that we make. But at times we succeed, at times we fail. "I think we should not get fazed by that. We should continue to do what we believe in. "And I think whenever you (media) talk about stars, it's wrong to mention just the three names (Shah Rukh, Salman, and Aamir). I think there are many talented stars who have a huge following. Akshay (Kumar) released a new film 'Toilet: Ek Prem Katha' which is being loved by everyone. "All of us are there, we are trying to do good work. Sometimes we succeed, sometimes we don't. I don't think it should directly reflect on the immediate stardom of a person." "Secret Superstar" is releasing on Diwali. "We were trying to release in August at first. But there was a lot more work we still wanted to do and we wouldn't have finished it in time, so we pushed it forward. Usually, it is said that people are so engrossed on Diwali with the celebration that they don't really go to watch the films on that same day, and according to producers and distributors, it isn't the right day to release the film. "But for us, the box office collection isn't that important. We wanted to release the film on a day which is emotionally important to us," said Aamir. On a clash with "Golmaal Again", Aamir said: "I think Diwali is a day which has a bandwidth to take two releases. So that was never a concern for us. You will see Diwali always has two releases... It is very rare that there is only one release for the film. "So the day had the space to release two films, also the genres of both the films are very different. 'Golmaal Again' is an out-and-out entertainer and 'Secret Superstar' for us is a very important story.... I don't think there is any clash." "Secret Superstar" is a musical drama written and directed by Advait Chandan and produced by Aamir and Kiran Rao. The film also stars Zaira Wasim and Meher Vij.